Harvard University Press, 9780674286047, 336pp. During the Cold War, left-wing Latin American artists, writers, and scholars worked as diplomats, advised rulers, opposed dictators, and even led nations. Their competing visions of social democracy and their pursuit of justice, peace, and freedom led them to organizations sponsored by the governments of the Cold War powers: the Soviet-backed World Peace Council, the U.S.-supported Congress for Cultural Freedom, and, after the 1959 Cuban Revolution, the homegrown Casa de las Am ricas. Neither Peace nor Freedom delves into the entwined histories of these organizations and the aspirations and dilemmas of intellectuals who participated in them, from Diego Rivera and Pablo Neruda to Gabriel Garc a M rquez and Jorge Luis Borges. 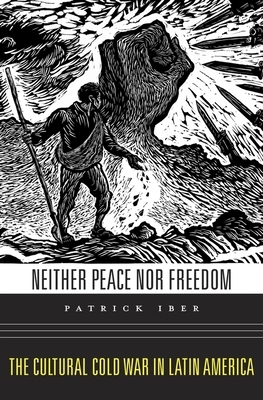 Patrick Iber corrects the view that such individuals were merely pawns of the competing superpowers. Movements for democracy and social justice sprung up among pro-Communist and anti-Communist factions, and Casa de las Am ricas promoted a brand of revolutionary nationalism that was beholden to neither the Soviet Union nor the United States. But ultimately, intellectuals from Latin America could not break free from the Cold War's rigid binaries. With the Soviet Union demanding fealty from Latin American communists, the United States zealously supporting their repression, and Fidel Castro pushing for regional armed revolution, advocates of social democracy found little room to promote their ideals without compromising them. Cold War politics had offered utopian dreams, but intellectuals could get neither the peace nor the freedom they sought.